If you would like to reserve a spot for your student, please call and make an appointment to come visit us! You can personally meet the Director, get a personalized tour, and talk through our enrollment packet. Here at RPACP we primarily use the Abeka curriculum. Abeka is a comprehensive, quality curriculum and materials written from a Christian perspective. this includes bible stories, character development, academic readiness, pre-reading skills, and math. We also use a variety of other resources to enhance a well rounded program. 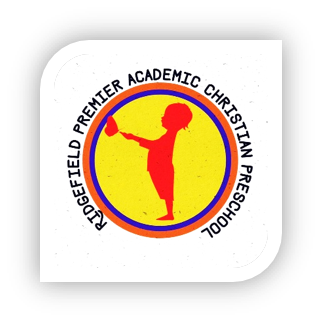 RPACP is an academic preschool. We provide academic work, play time, chapel, and various activities. Our school is in session for 4 hours throughout the school year, Monday Through Friday from 9:30 am -1:30 pm. Tuition is designed to meet the core costs of providing a quality educational program for our students. Tuition provides for much of our annual program costs. By keeping tuition modest, we believe we can put an RPACP education within reach for more families and build the type of inclusive community we all wish to have. Tuition at RPACP is calculated to cover the core costs of the educational program, including school supplies for each student, and instructional materials. Field trips, teacher salaries, as well as rent are also included in the cost of tuition. There is a non-refundable Registration fee of $200.00 which covers school supplies and field trips.